Hamilton have been through it all before when it comes to relegation battles and Louis Longridge hopes that experience will give them a crucial edge on their demotion rivals. As things stand, Inverness are heading back down to the Ladbrokes Championship while Dundee face a play-off battle to save their top-flight place. That could all change in the final five games of the campaign but Accies midfielder Longridge reckons the scrapes his side have survived in recent years prove they have the survival know how. 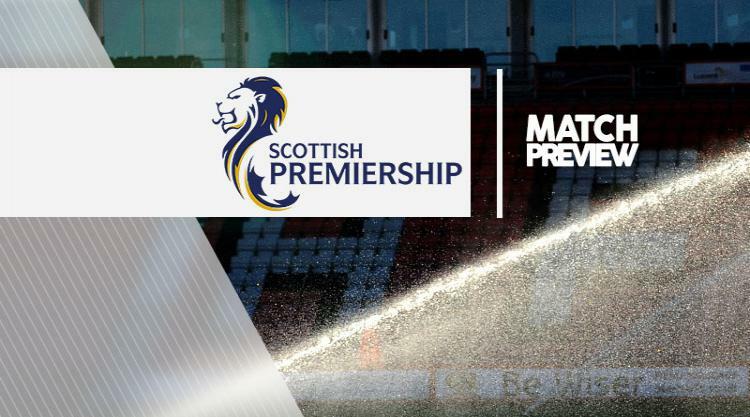 Martin Canning's side are looking to secure a fourth straight campaign in the Premiership next season - a remarkable feat for a club who regularly come out bottom of the budget league. But what they lack in cash, Longridge reckons they more than make up for in terms of bottle. With his side currently ninth, he said: "The fact we've been in about these relegation battles before will help us. "We're always the team who is predicted to go down, so every game we play we're the underdogs. "For us, it's a bonus if we can remain in the division because we've got the lowest budget and we're always being predicted to get relegated. "Teams like Dundee and Inverness maybe do not expect to be in the position they are in because they are quite big clubs. There is more expectation for them to stay up. "We're just hoping to take advantage of that and put as much pressure on the teams round about us. "Last year we went on something like a 13-game run without a win and things weren't looking too good. "But when it came to the crunch at the end of the season, we managed to get the points we needed to stay up. "So we're hoping that's the same this year and we remain in the Premiership. It will be difficult - there's only five points separating the teams in seventh down to 11th, so it will go right to the wire. "Nerves will come into play for all the teams. It can be a jittery time and people can under-perform because they know what's at stake. "It's going to come down to who can hold their nerves and not bottle it." Longridge has missed the last three nail-biting months of action with a knee injury but is ready to make his return just as the run-in action heats up, with Saturday's opponents Kilmarnock the first team to visit the SuperSeal Stadium since the league split. Complacency is the watchword at Kilmarnock ahead of Saturday's trip, according to interim manager Lee McCulloch. With five games remaining the Rugby Park side are in seventh place in the Ladbrokes Premiership table, five points ahead of Dundee who are in the play-off spot. McCulloch, who was assistant to Lee Clark when the Ayrshire club escaped the drop last season with a two-legged play-off final win over Falkirk, is determined to keep his side focused for the trip. Asked if a victory at a place they have not lost in seven years would effectively ensure safety, he told Press Association Sport: "No. I don't think it would be right for me to say yes, there are too many points up for grabs. "A victory for us would put us a lot closer but I think it's more than three points needed for safety. "Always ultra-cautious. You have only won the league when it is mathematically right and it is the same on the other side of the spectrum. "The key word since the Hearts game has been complacency. Don't go in thinking that we are sitting seventh so we are safe. "We are not. We have spoken every day to the players, we have got the players thinking about it. "We need to be ready for a Hamilton team that is fighting for their lives, but so are we. "Form goes out the window. It doesn't matter what team has the momentum, it doesn't matter the personnel. "It is like a cup final and that is the way I see it and that is the experience I had from last season being in this situation. "I think Hamilton are in a false position. They have good players, young, hungry, want to succeed and a good management team. I think it has the makings of a good game."